The Radiohack Europe project VOICE SALES won second prize. Don't miss our presentation at 2.45pm, Track 4, Hall M.
Collect Leads and sell your product via Voice Assistants. Simple SDK Integration • works with Amazon Alexa and Google Assistant. VOICE SALES leverages your Voice Assistant Applications to a whole new level. You can now easily generate Leads and Sales via Amazon Alexa or Google Assistant. You just add a simple code snippet to your Skill or Google Action and you're ready to setup your first lead or sales campaign. Simply collect mobile phone numbers to send automatically text messages to your audience group and convert them to costumers. Sell easily your product or enable users to claim a special offer via your voice assistant application. Get real time updates of your leads and sales via our Amazon Alexa Skill, email or logging in to your VOICE SALES dashboard. Now you know if your commercials work. You will see instant feedback to your commercials via FM, Online Stream of your Radio/Podcast/Audio Skill or Action. Smart Speakers become more and more important. By the end of 2018 you will reach 56 million people via Smart Speakers worldwide. Learn more about the power of Voice Sales. Here is how it works. Your user listens to a commercial on his Smart Speaker, Radio Device or Laptop/Smartphone. A user tells the Skill/Action on the Smart Speaker that he wants to know more or claim a certain offer. 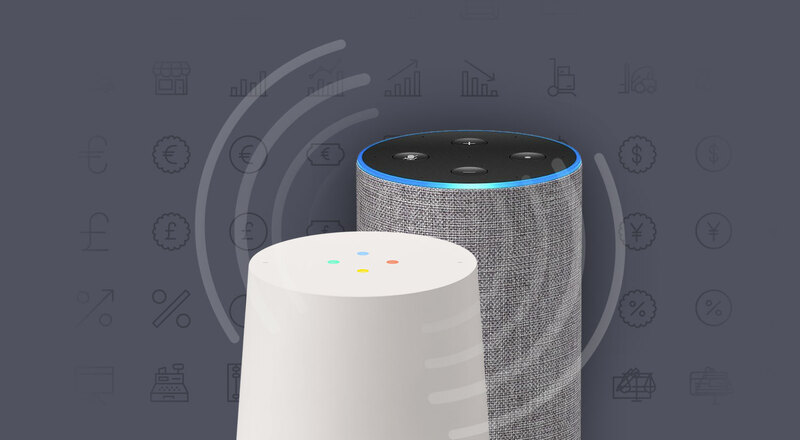 Our SDK adds all required intents (functionalities) to your Voice Assistant App to handle the request and to guide the user through the registration/purchase process. The user gets an automated text message or email to confirm his registration / purchase. Now it's up to you to care about your new lead/costumer! Interested in a demo how VOICELEAD or VOICESALES works in a Voice Assistant application? Have a look at all of our great options and choose the best one for you. Please don't hesitate to contact us if you have questions or if you are interested in a demo.